Standing on the deck of a sunken sailing ship, I could look up through the blue water and see the sun far above and down over the railing to see fish swimming near the ocean floor. Then, a shadow appeared to my left, and everything grew darker as a blue whale swam just overhead. It was breathtakingly close – a flipper swung toward me. I felt I had to step back and not trip over a rusty cannon. After the whale passed by and I caught my breath, I waved my hands around to play with a group of little fish just above the old wooden railing. This exhilarating moment happened on the ninth floor of a nondescript office tower in downtown Bellevue, where I was trying the new virtual-reality headset, controllers and software that Valve and HTC are unveiling this week. They’re joining a parade of big-name tech companies planting stakes, as virtual-reality appears to be moving finally from the tinkering and research stage and toward the mainstream. Sales of virtual-reality and augmented reality devices are expected to “explode” from 3 million units this year to 55 million in 2020, according to a report last month from ABI Research. The Seattle area’s growing cluster of companies in the virtual-reality space is highlighted by the partnership between Valve and HTC. Since it was formed in 1996 by Microsoft veterans, Valve has become perhaps the biggest force in PC gaming, with more than 125 million people connecting and playing through its Steam game service. 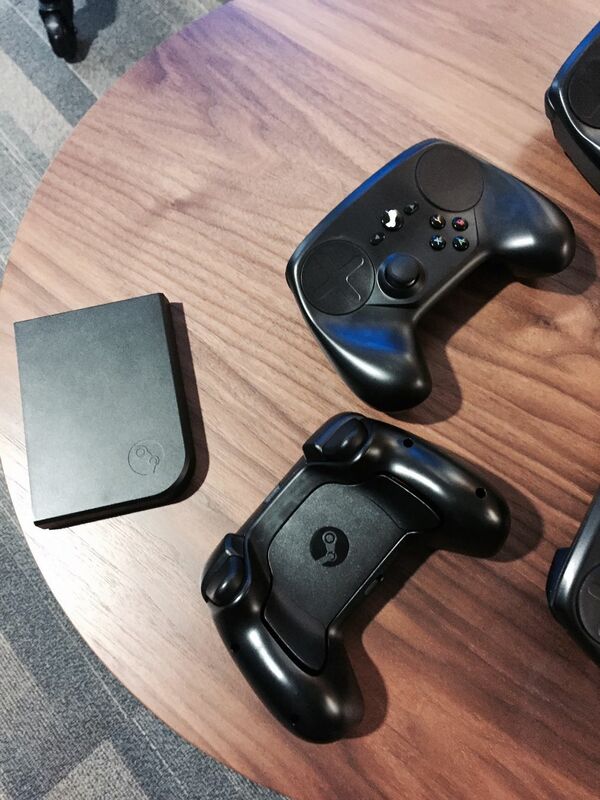 Valve also announced that PCs running its Steam OS and bundled with its new Steam controller will go on sale in November, along with a $50 device for streaming games from a PC to a TV elsewhere in the home. 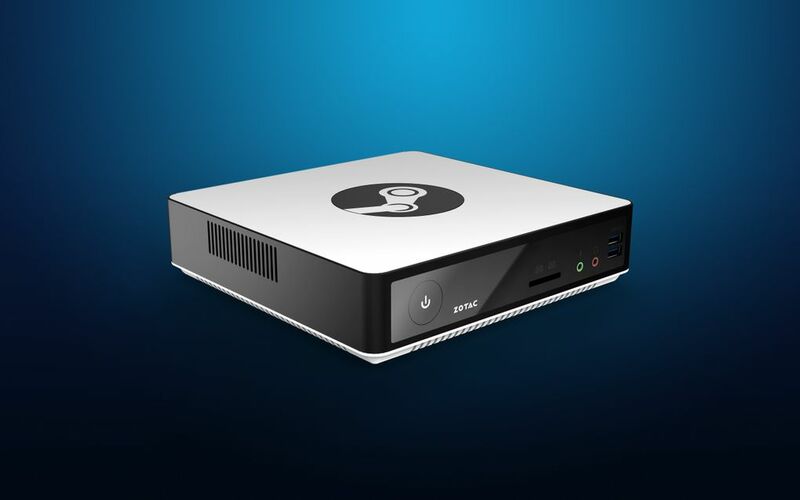 The higher-end Steam Machine PCs are capable of running games in 4K resolution. Customers are interested in newer display technologies, according to Valve employee Erik Johnson. That includes ultrarealistic games rendered on 4K TVs and VR headsets that basically place high-definition displays right in front of your eyes, immersing you in content that’s generally running on a PC. “How people view things is moving forward really quickly on the PC side so we want to make sure we’re kind of on top of all of those things,” Johnson said. HTC, a Taiwanese phone manufacturer started in 1997, has lately expanded into new consumer products under the guidance of a “connected products” team based at its U.S. headquarters in Bellevue. It’s a global effort, though. Industrial design is done by HTC in San Francisco, software is led by a studio in Seattle and manufacturing takes place in Taiwan. 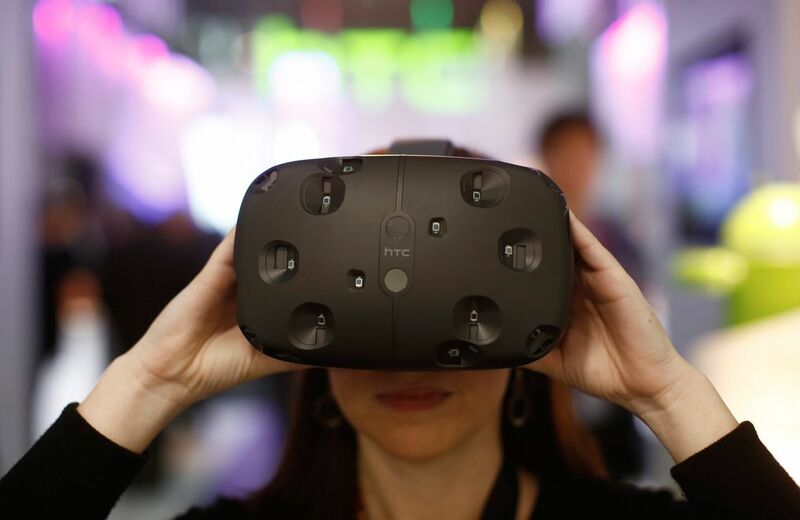 “We believe this multi-cultural approach will ensure our products (are) relevant globally,” Dan O’Brien, executive director of the connected products group, said via email from Barcelona, Spain, where HTC unveiled the “Vive” headset at the Mobile World Congress. 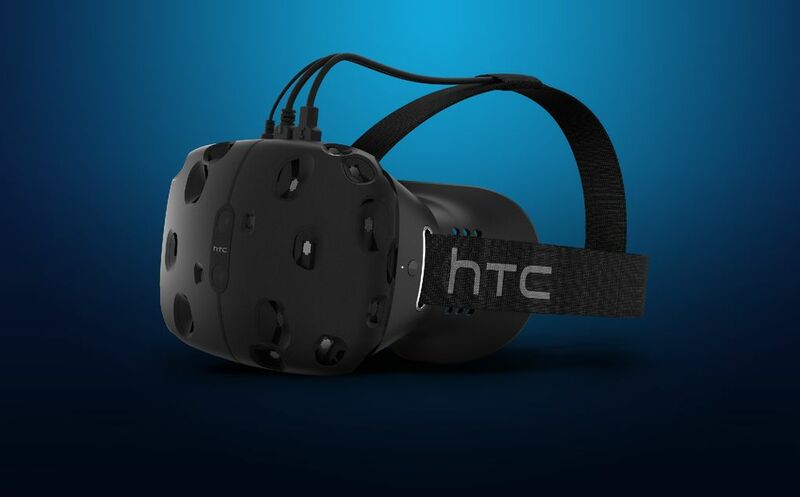 The Vive will be released this spring to developers and go on sale in the holiday season. Prices haven’t been disclosed. HTC also is working with content producers such as HBO and Lionsgate and other game-industry players, including Google. 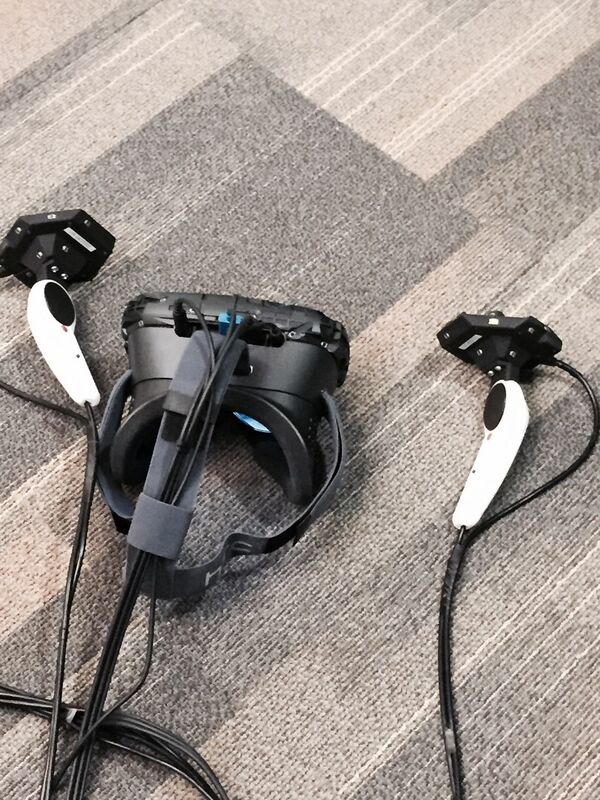 The Vive system developed with Valve is based on a headset with 1,200-by-1080p displays in front of each eye. It also includes two handheld controllers with triggers and a thumb-controlled touchpad, plus a pair of beacon units that track the headsets location in rooms up to 15 by 15 feet. The headset includes a gyrosensor, accelerometer and laser position sensor. A handful of games demonstrated by Valve and HTC offer a sample of content that will be available for the system. It also shows how Valve’s software tools might be used to build VR content for additional platforms. For several years, Valve has been tinkering with VR and exploring ways to improve the user experience. It released a toolset for developers last year and this week is releasing the room-tracking and input technologies used on the Vive. Valve is aligning itself with open-source VR efforts and aiming for interoperability with other VR platforms. But that may be difficult, given the hodgepodge of VR systems being released by companies such as Sony, LG, Google, Samsung, Microsoft and Facebook’s Oculus VR. Among the contributions that Valve is showing off this week at the Game Developers Conference in San Francisco is a system called “auto chaperoning,” which keeps players from wandering off and crashing into walls while they’re wearing a VR headset. Valve’s demonstration begins by placing a Vive wearer in a sparse but brightly lit room, facing a touchscreen console. A bright line on the floor marks the boundary. When you get too close to the boundary, a flickering grid appears like an electric fence in a sci-fi movie, making it clear that you shouldn’t keep walking in that direction. The boundary is defined in different ways, depending on the game or application. On the sunken ship, the boundary was defined by the railing of the ship. The scene was so realistic that you probably wouldn’t step off the ship anyway. In another demo, the chaperoning system was used as a sort of control system. You are placed in a wood-paneled room filled with antique objects, such as an old chest and an astrolabe. When you approach the astrolabe, the room transforms into an observatory in which you can look around to see celestial objects swirling in the dark sky. Another demo was a tabletop war game in which the toy soldiers were animated and battling as I peered around the battlefield like Gulliver. Looking behind the table I found a cave where soldiers were gearing up for the battle above. The controllers were intuitive, though I struggled a bit with a surgical simulator and failed to remove an infected organ from an alien lying on the table in front of me in Valve’s virtual theater. Mostly it was operator error but the surgical instruments were also tricky to grip; at times they were misaligned in my hand and seemed to pass through the fingers I saw only through the headset. A grand finale of the demo dropped me into Valve’s awesome “Portal” franchise, Zelig-like. Placed in a factory room, I had to frantically open and close drawers, then open a door and let in a wounded robot. A disembodied voice urged me to hurry up and repair the robot by sliding holographic controls up and down while it complained about the poor quality of human labor. After failing at that task, walls and floor fell away except for a few tiles that kept me from falling onto a jumble of conveyor belts and into the depths of the factory. The lights came back on, the headgear came off and I was back in the alternate reality that’s downtown Bellevue, ready to start shopping for VR gear to take home.